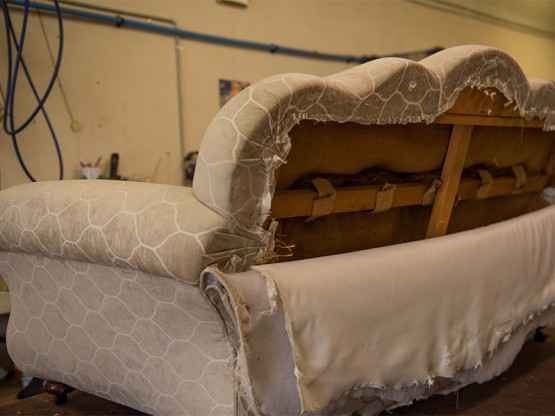 Whether you are looking for hand-crafted custom-made furniture, or want to reupholster your old couches and chairs, Argyle Furniture Designs in Perth offers furniture upholstery, custom-made furniture, commercial seating, and provides soft furniture restoration and repairs. Contact us to enquire about transforming your home’s interior at a price you can afford. As experienced and professional upholsterers we can transform a room or home by rehabilitating a dated, tatty couch, chair or ottoman into a stylish, modern-day piece, or by reclaiming your furniture’s former glory with a complete classic makeover. New furniture does not have to cost a fortune. Bring us your old furniture, we will remove the worn-out upholstery, strengthen the frame, and reupholster your piece with material of your choice. This way you get a brand new piece of furniture at a fraction of the cost of buying it new. We manufacture custom-made furniture, working with you to ensure you get unique pieces that suit your home’s interior. We make high-quality, attractive and durable furniture for your living room or bedroom. Our highly skilled craftsmen and talented designers combine traditional furniture-making methods with the latest technology to create distinctive customised furniture of the highest quality. Furniture that will give you a lifetime of comfort and reliability. If you are looking for the perfect lounge to complement your home, contact our friendly and knowledgeable staff today. With more than 35 years in the industry, and a respected reputation, we are proud of our workmanship. 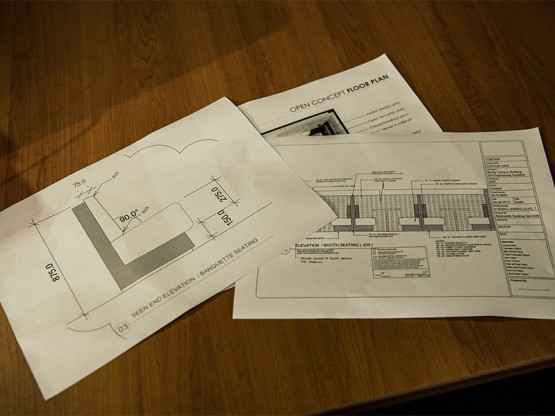 We work with an array of people, from contractors and shop fitters to business owners, ensuring that every project is successfully completed on time. You get the best products because we use only quality fabrics from reputable suppliers, and we provide you with a 12-year warranty on all work completed. We work with you to design and create one-of-a-kind pieces, specifically tailored to your requirements. Our well-trained, professional upholsterers can extend the life of your furniture with new fabric and can also produce special trims, flourishes and other design details to suit your sense of style. So, if you have much loved furniture that needs a makeover, bring it into our workshop in Malaga. Our designers will help you choose material to match your décor and personal style. Whether you want furniture repairs to your old lounge or custom-made bedroom furniture, you want to work with a company that is as inspired as they are talented at producing amazing furniture. We stock wallpaper designs of all colours and textures. Our wallpaper is inspired from past decades and stylised for the modern interior. You won’t believe the difference modern, attractive wallpaper can make to a room. When you approach us with your furniture requirements, you can expect sound advice and comprehensive, practical solutions. Whether it be custom-made bedroom furniture, ergonomic office furniture or upholstery, we will provide you with furniture built to last, prompt service at reasonable rates and great customer service. We are happy to advise you on all your furniture, seating, wallpaper and upholstery needs. Contact us for more information or pop into our showroom at 1/7 Agett Road, Malaga. We are open Monday to Thursday 7.30am – 4pm; Friday 7.30am – 2:30pm; Saturday 9.30am – 12pm; and Sunday by appointment.